Laundry rooms used to be utilitarian spaces with little style, but these days they have fun flooring and wallpaper, quality cabinetry, luxurious lighting and countertop space to boot. Suddenly laundry doesn’t seem so bad. 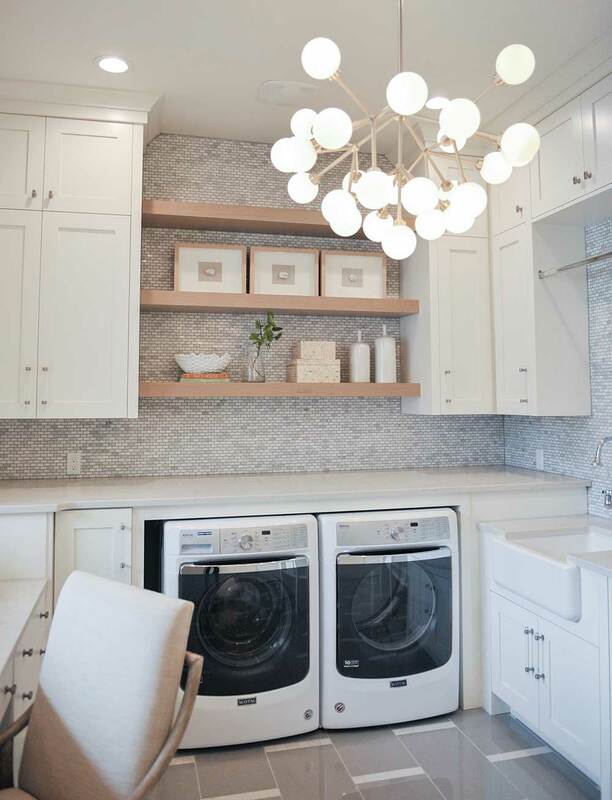 We love this light and airy laundry space from E Builders. 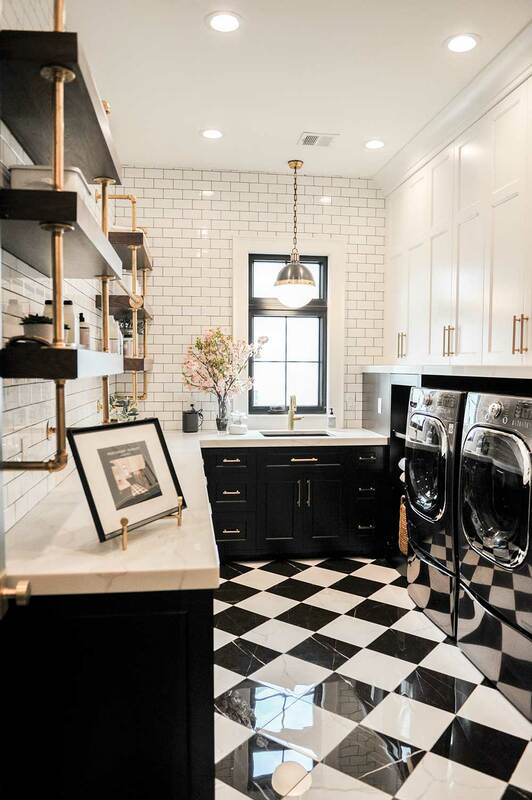 This laundry room from Shelby Homes also includes a trend we saw again and again in this year’s parade, black-and-white checked tile.